A Man for All Seasons (1966), starring Robert Shaw (left) and Paul Scofield, is one of the classic movies airing on TCM this week. This week, TCM is airing great movies from stars like Errol Flynn, Jane Russell, and James Cagney. 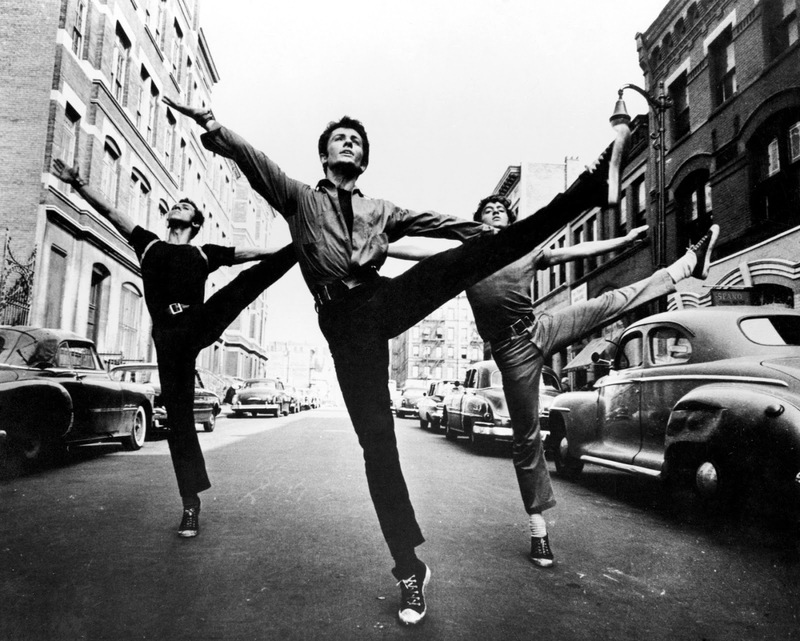 Plus, they are featuring films adapted from historical plays and Broadway musicals. So, without further ado, let's jump right in to this week's offerings. Just a note: the highlighted text has links to full length articles. 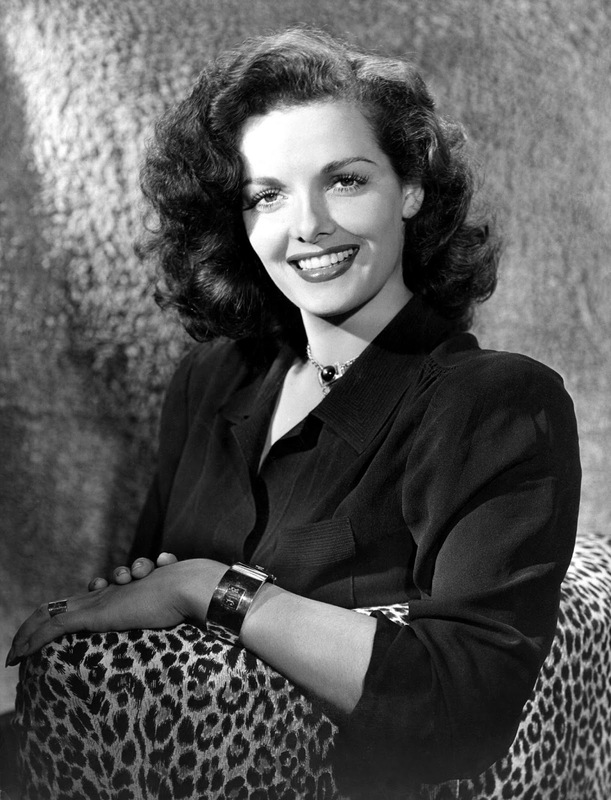 Birthday tributes: Errol Flynn on Monday; Jane Russell on Tuesday. Sunday Prime Time: A celebration of actor Martin Balsam with two of his best films. Silent Sunday Nights: Go West (1925) at midnight and Coney Island (1917) at 1:15 a.m. The first movie finds Buster Keaton as a small-town man who moves West to become a cowboy. Keaton plays Roscoe "Fatty" Arbuckle's rival in love in the silent short, Coney Island. TCM Imports: Dillinger is Dead (1969) at 2 a.m. Director Marco Ferreri's satire is about an antisocial man (Michel Piccoli) who is obsessed with gangster John Dillinger. Best Day to DVR: Wednesday night. 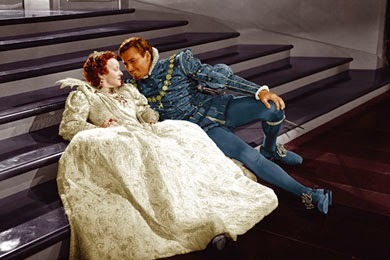 TCM's Spotlight on movies adapted from the stage features an intriguing night of historical dramas. This is a great week for . . .: sixties movies. You've got one of the best films of the decade on Wednesday prime time, a night of great musicals on Thursday, and two great comedy-dramas over the weekend (The Flim-Flam Man on Saturday and A Thousand Clowns on Sunday). Bette Davis and Errol Flynn in The Private Lives of Elizabeth and Essex (1939). Three daytime picks: A birthday tribute to Errol Flynn, who was born June 20, 1909, in Battery Point, Tasmania. He was one of the great swashbuckling stars of old Hollywood's golden age, starring in timeless action-adventure classics like the Robert Louis Stevenson adaptation, The Master of Ballantrae (1953) at 7:30 a.m., the historical pageant The Private Lives of Elizabeth and Essex (1939) at 3:30 p.m. and the pirate picture, Captain Blood (1935) at 5:30 p.m.
Prime time lineup: TCM will celebrate the career of star of the month Marie Dressler each Monday in June. This week's selections are her Academy Award-winning performance as a tough but tender innkeeper in Min and Bill (1930) at 8 p.m. and two of her hilarious comedy shorts with onscreen partner Polly Moran: Reducing (1931) at 9:15 p.m. and Politics (1931) at 10:45 p.m.
Late night pick: One Romantic Night (1930) at 12:15 a.m. is the first sound adaptation of Ferenc Molnar's play, The Swan (the best known version is the 1956 Grace Kelly vehicle). This time, Lillian Gish plays the princess and Dressler is her domineering mother. Three daytime picks: A birthday tribute to Jane Russell, who was born Ernestine Jane Geraldine Russell June 21, 1921, in Bemidji, Minn. Russell's breakthrough came in the Billy the Kid Western The Outlaw (1943) at 2:30 p.m., which made her one of the most popular pin-up girls of World War II. She later proved her star power in the sensitive drama Young Widow (1946) at 9:45 a.m. about a woman who is grieving the loss of her World War II soldier husband and Macao (1952) at 11:30 a.m. a great film noir with her frequent co-star Robert Mitchum. Prime time lineup: TCM host Robert Osborne's June picks are two musical romances starting with Song of the Islands (1942) at 8 p.m. about the romance between the children (Betty Grable and Victor Mature) of a warring Hawaiian cattle baron (George Barbier) and his neighbor (Thomas Mitchell). Next up is You Were Never Lovelier (1942) at 9:30 p.m. about the romance between an Argentine heiress (Rita Hayworth) and a broke American dancer (Fred Astaire). Late night pick: Lifeboat (1944) at 11:15 p.m. about the survivors of a Nazi torpedo attack is one of director Alfred Hitchcock's best films of the 1940's. 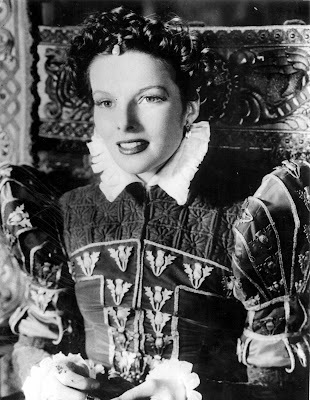 Katharine Hepburn in Mary of Scotland (1936). Three daytime picks: The theme is movies starring James Cagney starting with the Howard Hawks directed race car drama The Crowd Roars (1932) at 9:45 a.m. followed by The St Louis Kid (1934) at 2:15 p.m. a movie about a corrupt union that predates On the Waterfront (1954) by 20 years. Finally, Cagney and his great friend Pat O'Brien star as two cocky Marine pilots in Devil Dogs of the Air (1935) at 4:30 p.m.
Prime time lineup: Every Wednesday and Thursday in June, TCM is turning the spotlight onto movies that made the journey from the stage to the screen. Tonight's theme is historical plays starting with Abe Lincoln in Illinois (1940) at 8 p.m., based on Robert E. Sherwood's Pulitzer Prize winning play about the political beginnings of our 16th President (Raymond Massey). 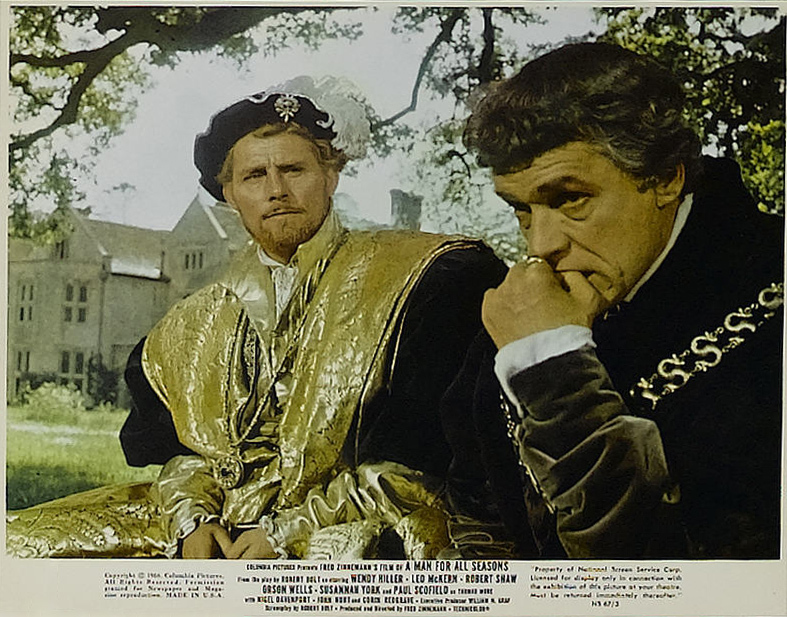 Next is A Man for All Seasons (1966) at 10 p.m., which features Paul Scofield's iconic performance as Henry VIII's chief minister, St. Thomas More. Late Night Pick: Katharine Hepburn takes on Mary, Queen of Scots in director John Ford's adaptation of Maxwell Anderson's stage war horse, Mary of Scotland (1936) at 4:30 a.m.
George Chakiris in West Side Story (1961). Three daytime picks: TCM continues its spotlight on stage to screen with two adaptations of suspense plays. Patty McCormack gives a chilling performance as a little girl who happens to be a ruthless killer in the adaptation of Maxwell Anderson's play The Bad Seed (1956) at 6:45 p.m. followed by the nail-biting suspense of Wait Until Dark (1967) at 9 a.m., which was adapted from Frederick Knott's play. 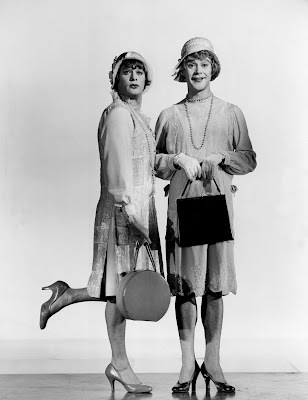 TCM devotes the rest of the day to movies set in Brazil including Fred Astaire and Ginger Rogers first movie Flying Down to Rio (1933) at 12:45 p.m.
Primetime lineup: TCM continues its spotlight on stage to screen with sixties Broadway musicals. West Side Story (1961) at 8 p.m. features Jerome Robbins iconic choreography in a tale of inter-gang warfare in New York City, while The Music Man (1962) at 10:45 p.m. made star Robert Preston a Broadway icon. Late Night Pick: Judy Holliday brings her iconic stage performance as a bored telephone answering receptionist to the big screen in Bells Are Ringing (1960) at 3:30 a.m.
Three daytime picks: The theme is Shelley Winters in the 1950's starting with My Man and I (1952) at 10:45 a.m. in which Winters plays a waitress who is the love interest of a struggling Mexican immigrant (Ricardo Montalban). In Tennessee Champ (1954) at 2:30 p.m. Winters plays the wife of larcenous boxing manager (Keenan Wynn), while she takes on the Ida Lupino role in the High Sierra (1941) remake I Died a Thousand Times (1955) at 3:45 p.m.
Prime time lineup: TCM is airing 17 of writer-director Billy Wilder's best movies each Friday in June. This week's selections are the classic courtroom movie Witness for the Prosecution (1958) at 8 p.m. and the classic comedy Some Like It Hot (1959) at 10:15 p.m.
Late night pick: Wilder's hilarious insurance scam comedy The Fortune Cookie (1966) at at 12:30 a.m. is the first screen teaming of Jack Lemmon and Walter Matthau. TCM's prime time lineup is all about the art of the con starting with Paul Newman and Robert Redford in The Sting (1973) at 8 p.m., followed by George C. Scott as a seasoned con man who shows a beginner (Michael Sarrazin) the ropes in The Flim-Flam Man (1967) at 10:30 p.m. Finally, Roland Young and Billie Burke lead a family of con artists in The Young in Heart (1938) at 12:30 a.m. The Sunday Night Feature celebrates actor Martin Balsam with two of his best films. Balsam won a best supporting actor Oscar for playing bored television writer Jason Robards' frustrated agent in A Thousand Clowns (1965) at 8 p.m. followed by his performance as bored housewife Joanne Woodward's frustrated husband in Summer Wishes, Winter Dreams (1973) at 10 p.m.